The following businesses have donated their services and time to help us in our effort. Without them, we would not be able to help the animals that we do. Please ask us how you can benefit from being a sponsor of our organization! 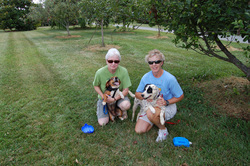 Animal Health and Wellness of Rural Hall for vet care and spay and neuter services for animals over the age of 6 years.